Our roots are as a volunteer program and we continue to depend on the skills and dedication of our volunteers. And volunteering is one of them. Call Center volunteers provide active listening, emotional support and community resources to people who are in crisis, depressed, suicidal, grieving, homeless, mentally ill, or looking for resources. A 60-hour training program teaches new volunteers everything they need to know to be effective on the 24-hour crisis and information and referral lines. After classroom training and one-on-one mentoring, volunteers work a minimum of one 4-hour shift once a week. Additional in-service training is required. Contact admin@crisis-center.org for more information. Grief Group Facilitator volunteers provide active listening and emotional support to people who are grieving the death of a loved one and facilitate the group counseling support process with a co-facilitator. Groups meet for two hours and are provided once a week. Grief Group Facilitator Volunteers must have completed a minimum of 12 months experience as a Call Center Volunteer. Additional training and in-services are required. Mobile Grief Response Team volunteers provide active listening and emotional support at a school, community organization, or business following an unexpected death. The team provides age appropriate crisis counseling and grief counseling services on site. Mobile Grief Response Team volunteers must have completed a minimum of 12 months experience as a Call Center Volunteer. Additional training and in-services are required. For more information, contact the Grief Counseling Program at 925-939-1916. Licensed Clinical Therapist volunteers provide active listening and emotional support to people who are grieving the death of a loved one. Additional training and in-services are required. Administrative Office volunteers provide help with light office duties, special projects, graphic design, marketing, website, and photography as needed. Office Maintenance volunteers provide minor building repairs, building projects, painting, and facilities maintenance as needed. Community Projects volunteers provide assistance with administrative and data entry for special projects during the year. Computer literacy and Excel skills required. All call center and grief volunteers must be 21 or older, and all volunteers will complete program-specific orientation and training, complete a background screening, agree to a volunteer term of one year, and adhere to our ethics and confidentiality policies. At this time, we are not able to place court ordered community service volunteers. Note: at this time, we are not accepting court ordered community service volunteers. Do you require special accommodations due to a disability? 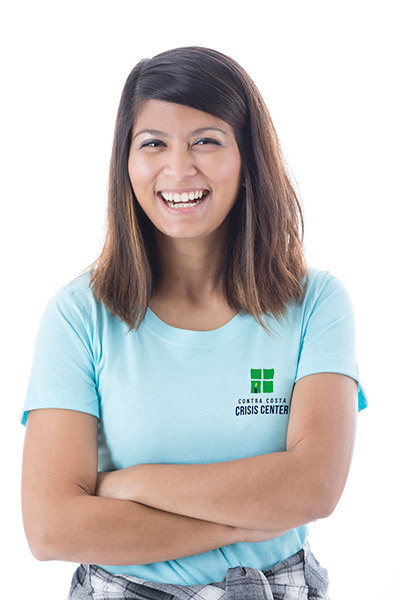 How did you learn about the Crisis Center?